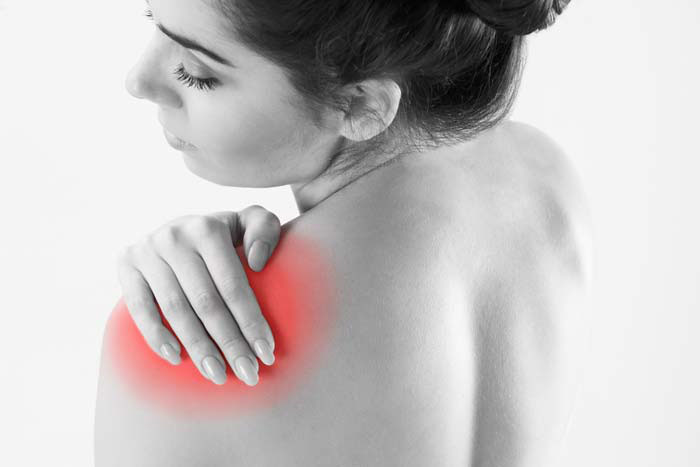 Whether you have chronic shoulder pain, an acute injury, require post-operative care, or seek specific shoulder/sports injury therapy, our shoulder therapy program focuses on restoring range of motion, strength and function. Your care begins with a comprehensive evaluation of your functional limitations. Our team of expert physical therapists will then design a shoulder injury treatment plan based on your individual needs and goals. Our shoulder injury therapy programs also offer individualized evaluations so that we may design a plan suited for each situation. Sports-related shoulder injuries require accurate and thorough focus to restore the shoulder to health and reduce the chance of any re-injury. Muscle Tears, Strains, Pulls, ligament injuries. Soft tissue injuries are injuries related to the soft tissues of the body (muscle, tendon, ligament and nerve). A muscle tear, strain or pull refers to damage to a muscle or its attaching tendons. This can be caused by sudden pressure or tension being put on a muscle group causing it to overstretch or tear. COMMON SOFT TISSUE INJURIES IN SHOULDER JOINT COMPLEX TREATED AT PERFECTO PHYSIOS ARE AS FOLLOWS. pain when the muscles are stretched or contracted. completely torn and there may be a large lump of muscle tissue above a depression where the tear is. Bruising will appear below the injury site. The immediate treatment of a muscle injury consists of the POLICE protocol – protect, optimal loading, ice, compression and elevation. It is important that this is done correctly and your Physiotherapist can advise you on this. This is aimed at reducing the bleeding and damage within the muscle tissue. Gentle resistance exercises and stretching are important as they help to align the scar tis-sue that forms during healing. Our skilled Physiotherapists will devise a specific rehabili-tation programme tailored to your needs. We can guide you through the process of returning to play and functional activities successfully and reduce the risk of occurrence. A specific diagnosis can be made by our Physiotherapists to determine what structure is involved and how advanced or severe the strain, pull or tear is. This is an area of expertise for physiotherapists and encompasses the whole body. Once a diagnosis is made, specific treatment advice can be given. When it comes to treating muscle strains, pulls and tears, our team of Physiotherapists are highly experienced, so you can be assured you are receiving a first class service.